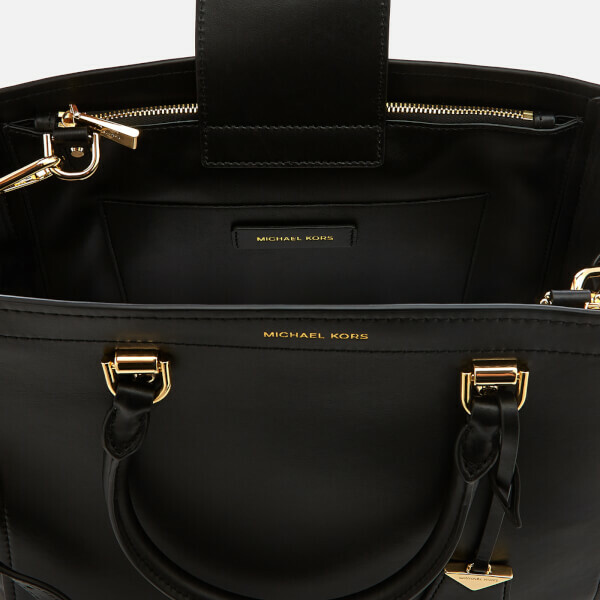 Women’s large black ‘Benning’ satchel from MICHAEL MICHAEL KORS. 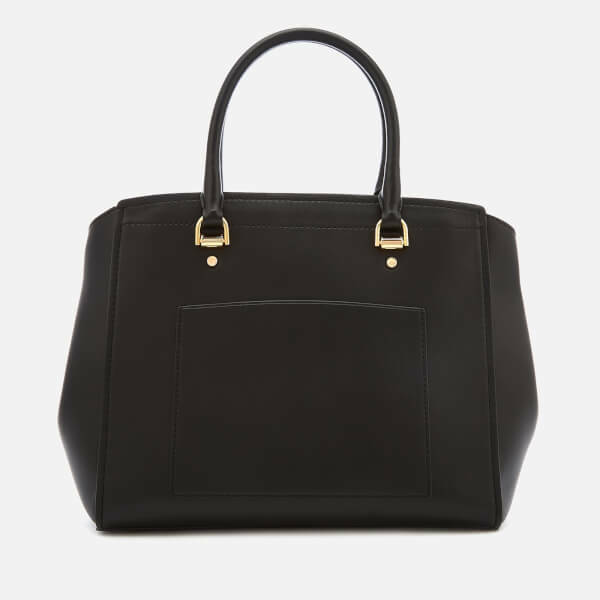 Crafted from smooth leather, the handbag boasts an open top design and a structured silhouette with compactable sides. A snap tab at the top secures the bag’s sizeable interior, which offers two zipped compartments and three slip pockets within. An external slip pocket to the reverse offers additional, easily accessible storage. 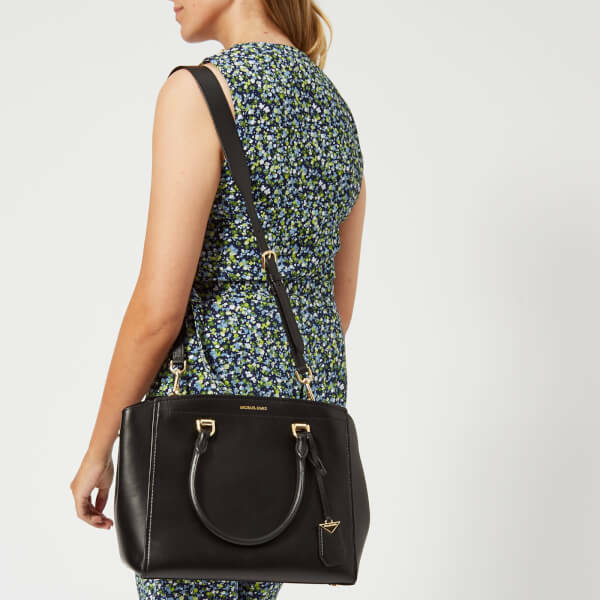 Twin top handles and a detachable cross body strap with an adjustable pin buckle transport the bag and provide versatile styling options. 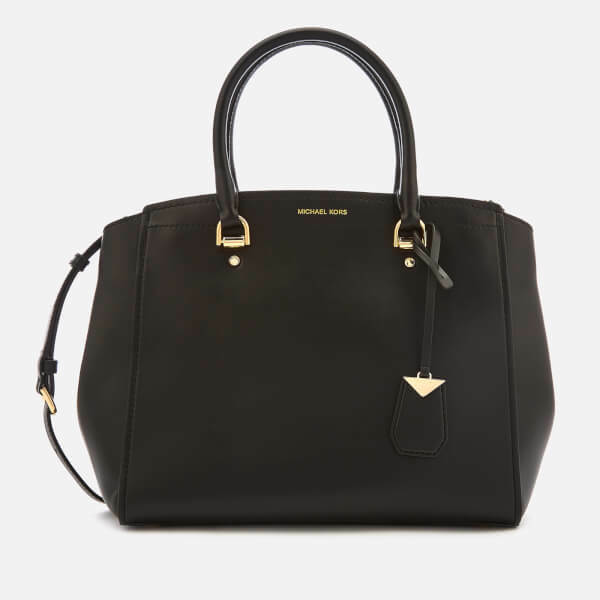 Metal feet protect the bag’s base and gold-tone hardware elevates the sleek design. Subtle foiled branding and a removable dog tag charm add the finishing touches. Dimensions: H: 25cm x W: 29cm x D: 12.5cm. Handle Drop: 12cm. Strap Drop: 49cm.